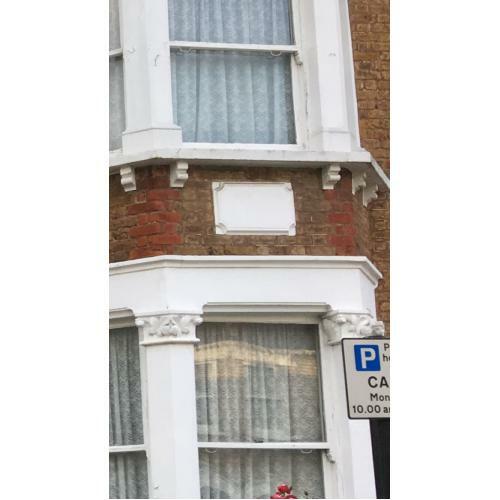 Victorian Stone name plate or plain plaque , can also be used for a gable end . Measures 650 mm wide x 470 mm deep. Cast in white cement . other colours available . Can be decorated with masonry paint.